Lap Harp, the smallest of the harp family, often played at “Renaissance Festivals”, allows Leah to stroll around at your event (big or small) entertaining your guests tableside! Available For Hire for Special Events, Both Commercial and Private – Weddings, Parties, and Much More! Leah has been playing the harp for over 30 years. She performs professionally using the large Concert Pedal Harp, the smaller Irish or Celtic Harp, and the small (and very portable) Lap Harp. Concert Harp – The largest harp that she owns is a 47-string Salvi Aurora pedal harp, which features an exquisite custom gold design on the soundboard. 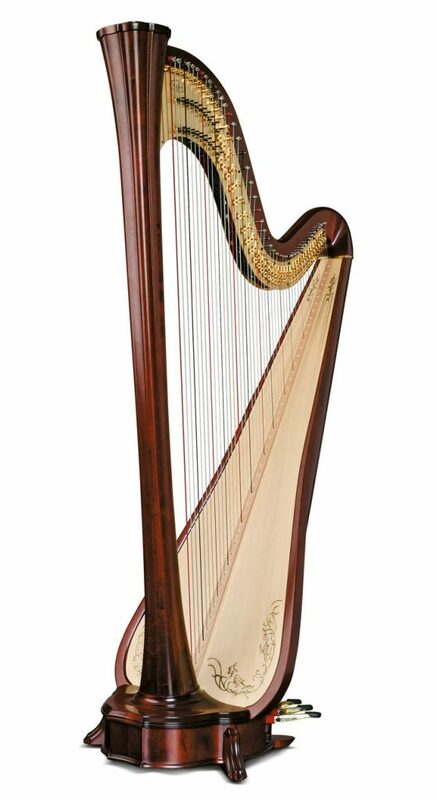 Celtic harp – her 38-string Egan Harp was designed and built by Salvi in Italy. Lap Harp – her 22-string Eve Harp, made by Stoney End, a harp maker based out of Minnesota USA. Leah maintains an active performing schedule, playing with big city orchestras and smaller ensembles, in addition to playing solo harp for recitals and concerts. Although she plays regular “commercial gigs” – events at the world famous Greenbrier Resort in White Sulphur Springs, West Virginia as well as at many local restaurants and churches – Leah also frequently performs at private special occasions such as wedding ceremonies and receptions, anniversary parties, private dinners, etc. 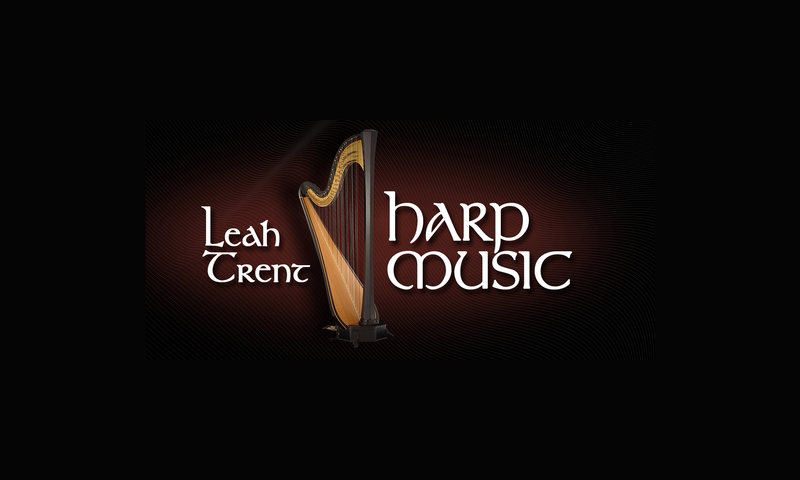 Invite Leah to bring her harp and she and her beautiful music will grace your event with elegance. 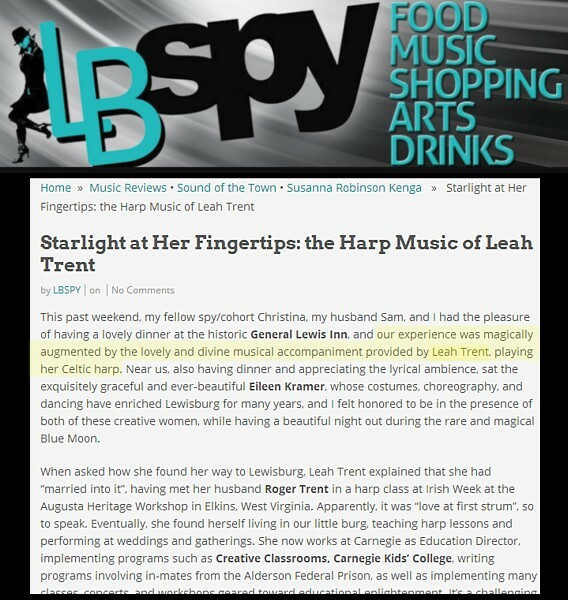 Leah Trent is a member of both the American Harp Society and the International Society of Folk Harpers and Craftsmen. Leah has taught harp for many years, both in private and group sessions. She teaches now at Carnegie Hall in Lewisburg West Virginia. She has had the honor in the past of teaching harp classes at the world-famous Irish Week at the Augusta Heritage Center in Elkins, West Virginia. She also taught harp for eight years at the Classen School for Advanced Studies in Oklahoma City, where she built the harp program into a performing harp ensemble with 14 members. Leah has also taught harp at the college level, having had experience as the Harp Instructor at boththe University of Central Oklahoma and Southern Nazarene University. 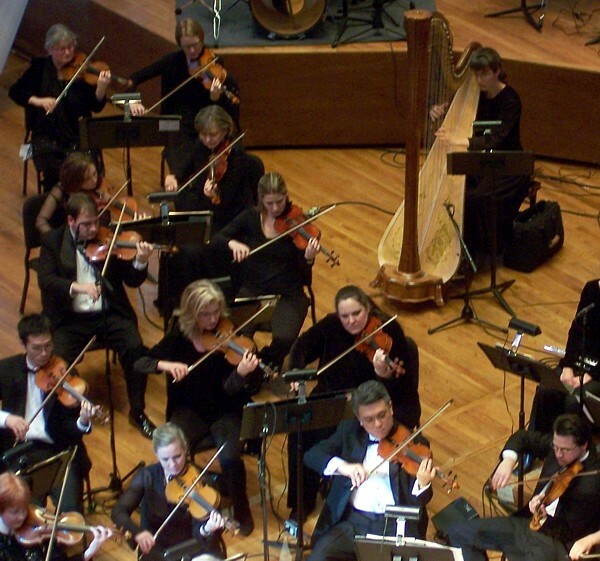 In addition, Leah was the Harp Director and Lead Harper for the 15 member St. Patrick’s Irish Harp Orchestra. “I wanted to thank you again for playing the harp during our ceremony and the piano during cocktail hour. We had so many guests come up to us and compliment on how beautiful the harp was. You are so talented!” – from Mary, the bride. Please note that I value your personal info privacy just as much as I value mine! 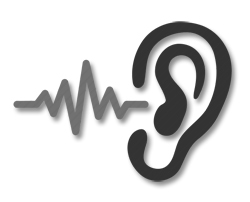 never be shared without prior written permission from you.